Last week, Nintendo explained that it never intended NES mini to be a permanent product. From the company's perspective, the microconsole was planned as a cool novelty item perfect for Christmas 2016, and the numbers in which it was manufactured and shipped were expected to be enough to suit this goal. But NES mini ended up breaking out to become more popular than anticipated and quickly sold out, leading to a bustling resale market on eBay. NES mini shipments continued into the early part of this year, but its production run could not be extended further - as SNES mini was slated for production instead. 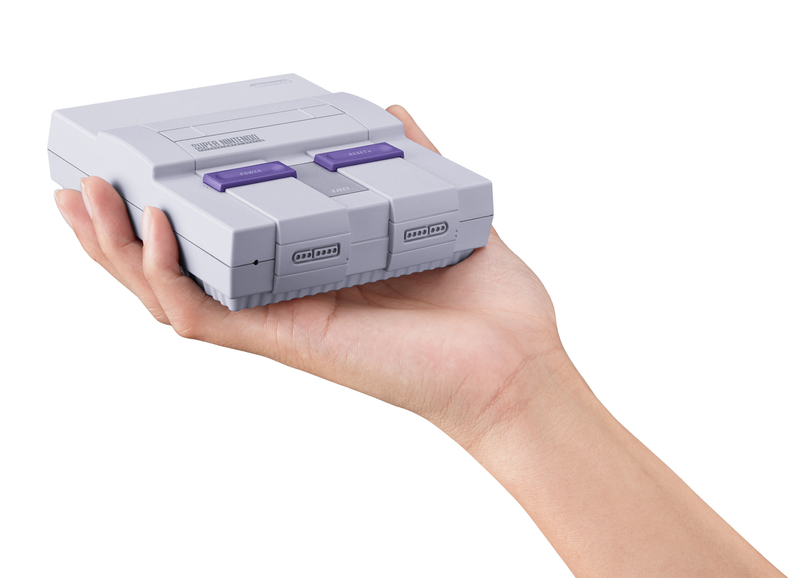 Hopefully, more stock of the SNES mini will be made available to avoid a repeat of the same shortages. The reality of a SNES mini is certainly exciting - while the NES was unique for being Nintendo's first home console, the SNES arguably boasts the better software line-up, and a catalogue of classics far more advanced than their NES forebears. Compare The Legend of Zelda on NES to A Link to the Past, for example, or Donkey Kong to Donkey Kong Country. For the SNES mini, Nintendo is expected to stick with the NES mini's plug-and-play setup, and its array of games which come preinstalled and ready to play. Nintendo declined to comment when contacted by Eurogamer. I didn't even get my preorder of the mini NES. Nah I'll just continue using my SD2SNES which I loaded with every single SNES game. You can do save states and it plays on the original SNES system like any normal cartridge would. Advantages of getting these minis though: makes the games compatible on modern TVs via the HDMI output, great value for those just looking for a nostalgia throwback instead of getting the old console, carts, controllers, etc. Hopefully they adjust their supply this time around seeing as how popular the NES mini was. Would be nice for newer gamers to obtain a really succesful console of the past. I still own the original version, either way would buy this new mini too for emotion reasons. After all Snes is my very first console and the very first love of course. Yeah, SNES was the very first console I played too. Super Mario World, F-Zero, and Donkey Kong Country are some of my earliest memories when it comes to playing video games. Do you think if Nintendo get to the point where they release N64 Mini in the future, with games like GoldenEye and Super Mario 64 available to play from the get-go, that they will have another successful console re-release? Or would most people be less excited? I doubt Goldeneye will ever release again. HAs too much nonsense lawyer and copyright contract crap tied to it. It is an EPIC game though, its why I bought the N64 in the first place. Despite Perfect Dark clearly being the better game technically with bots and more options, Goldeneye has some excellent maps that trump Perfect Dark in 1v1 situations. 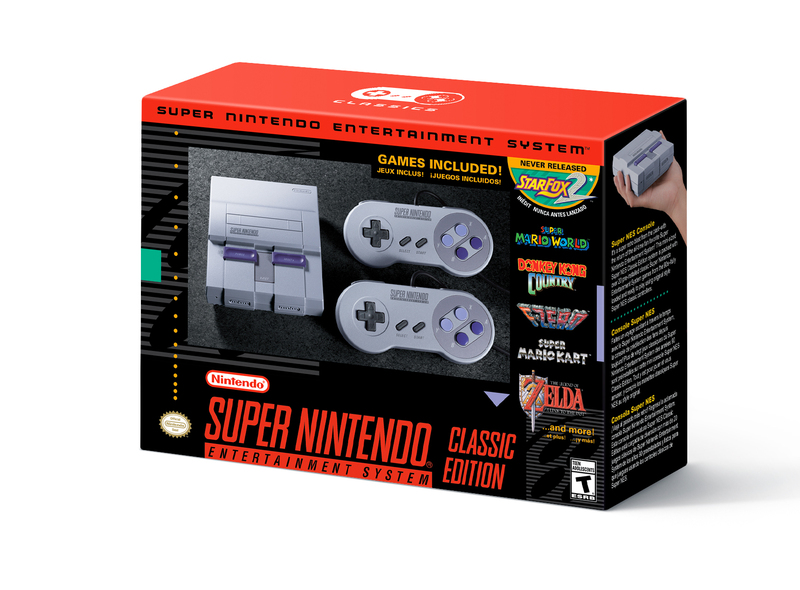 Oh snap, it's real and it comes with Super Mario RPG and Star Fox 2! I was able to get a preorder from Game and Amazon Uk. Still spamming refresh on BestBuy and Amazon for the US. I have to give Nintendo some credit. The game list for the SNES mini is much better than the NES mini. Starfox 2 is a nice surprise too. What I don't understand is why they settled on 21 games and NES mini got 30. They could've added 9 more good games...Donkey Kong Country 2 and 3, TMNT IV, Simpsons Barts Nightmare, Tiny Toons, Magical Quest, Super Battle Tank, Aladdin, Lion King, Chrono Trigger, Super Mario All Stars, etc. Secret of Mana is one of the games included. But I can only assume it was down to licensing costs that we didn't see some of the games you mentioned. Chrono Trigger probably isn't included because they already decided on Super Mario RPG, Final Fantasy III (Final Fantasy VI) and Secret of Mana. Turtles in Time seems like it would have been a no-brainer though; most fans of the SNES often mention it being one of their favorite titles. Super Mario All-Stars, despite being three games in one, are just NES titles. [QUOTE="Vyse, post: 6531140]Secret of Mana is one of the games included. You're right about Secret of Mana. I missed that. Super Mario All Stars was updated for SNES with added save points and slightly better graphics and sound. Plus you have Lost Levels which isn't available as a stand alone game on NES. For those who have no interest in NES, I think SM All Stars is still worthy of being included with SNES. You're right though. I think it's all about licensing and rights issues that Nintendo doesn't want to cough up the dough for. Hopefully they fixed their supply issues that was clearly evident with the NES mini, Majoras Mask 3DS XL, and many other products. Here we go again. If the NES unavailability repeats itself, I'm losing hope. I don't know what's happening here in Sweden, but Webhallen, one of the first to offer pre-booking, says now it's sold out, with a price of $185. Hopefully that is just retailer panic and the situation will improve as soon as Nintendo releases EU pricing and availability. Nostlagia.... My first console ever Still i have it of course and i am proud of it . A nice way for the younger gamers to get deep inside these amazing years and games. Pre-order went up on walmart.com last night at 11:30pm EST. I was able to get a couple. Limited to 2 per person. Didn't last more than25 minutes. Just fyi, all the pre-orders were canceled. hey, this thing looks pretty cool! i can't believe i did not know about this! i will definitely purchase one, if i can! So... How is it going with your preorders? The good news is that I got a confirmation email last week saying I’m guaranteed to get one tomorrow. The bad news, is that the placeholder price that was listed months ago, is going to be the official price in Sweden. 1599kr. I have a half dozen on the way in the US, and two from the UK. The US SNES looks shite. The EU and JAp one looks better I think. US version looks cool. Just like it did back in the day. My EUR version will be here in a week or so. I'm thinking of not picking up mine at all. It doesn't feel right at that price. I should have pre-ordered from the UK for half the price. Oh no. I paid just retail for all the ones I got. The UK ones were actually cheaper when converted to USD lol. So F34R, are you hacking one of your Minis? Gamestop has more in today. Picked one up today at Gamestop. I hacked it and put roughly 150 snes games on it. Still have room for another 30-50 games.